The Kano State Government says it will demolish buildings that are erected on water ways across the metropolis to avoid flooding. The Nigeria Union of Journalists (NUJ) Sokoto State Chapter, has decried alleged political victimisation of its members by the state Media. While Sudan President Omar al-Bashir was recently forced out of office following a military coup, Liberian President and three-time African footballer of the year George Weah has been forced out of his office by snakes. The National Judicial Council said it has extended the appointment of the Acting Chief Justice of Nigeria (CJN), Justice Ibrahim Tanko Muhammad, for another three months. The Royal Moroccan Football Federation (FRMF) has threatened to approach Fifa and report Cameroon for allegedly fielding overage players at the ongoing Africa U17 Nations Cup (U17 Afcon) tournament in Tanzania. 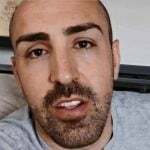 Former Liverpool and Newcastle defender Jose Enrique has been given the all-clear by doctors after he was diagnosed with a brain tumour last year. 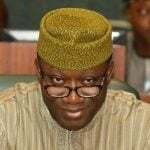 The Supreme Court has upheld the election of Governor Kayode Fayemi of Ekiti State. 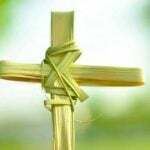 The Christian Association of Nigeria (CAN) Oyo state Branch, on Sunday urged Christians to take advantage of the significance of Palm Sunday to imbibe the culture of living a life of sacrifice. 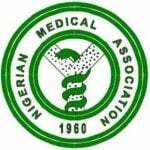 The Nigerian Medical Association (NMA), South South Zone, has advised the Federal Government to improve on the country’s health infrastructure, working conditions and remuneration of doctors to curb mass migration of Nigerian doctors to other countries. 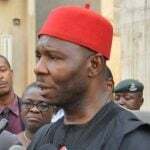 Senator representing Enugu North District in the National Assembly, Chukwuka Utazi, has said it would be unfair to leave out the entire South East in the contention for the next deputy senate president.